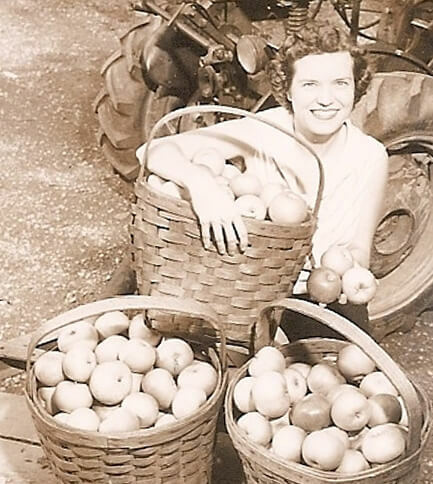 Our family farm’s history began in 1850 when a German immigrant by the name of John Conrad Soergel settled on this very spot and began planting apple trees. The apples were sold wholesale for the first half of the 1900’s, but in the mid 1960’s a severe spring frost left very few apples on the trees. 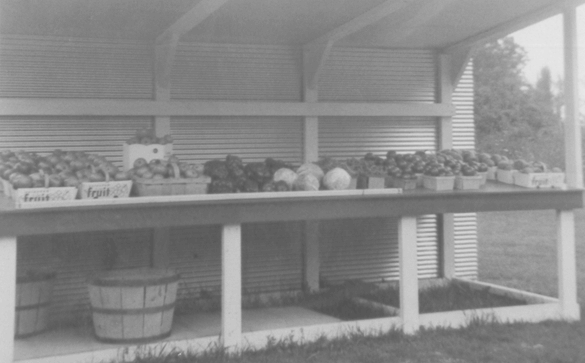 At this time, Warren and Jean decided it was not worth the trip to town everyday to sell the few apples we had, so we started a roadside stand at the corner of Brandt School Road and Wexford Bayne Road (now Route 910). When the business outgrew the original building, a larger stand was built. Then, in 1973, Interstate 79 claimed 14 acres of apples. Nevertheless, our family felt it was time for further expansion, so the present market was established. Randy started with several greenhouses as a complement to the market in 1980 and has since added the Garden Center and Home Accents. In 1986 we began our own rack and cloth cider press, which Larry operates. The fall of 1987 saw the expansion to a full-scale bakery and deli department, and around that same time, the Gift Barn was founded. We added an Arrowhead Wine Shop satellite location in 2002, and Naturally Soergel’s was opened in the Spring of 2009 to meet the growing special dietary needs of our community. Finally, in 2015, an Arsenal Cider House satellite location was opened. The family members involved in the business include myself, Jean Soergel (my husband Warren, the patriarch of the Soergel family, passed away in September 2010), my children Randy and his wife Beth, and Linda and her husband Larry. Most recently, my two sons Richard and Reed have retired from the business to pursue other ventures. Our grandchildren involved in the business include Katie and Eric, who help to manage the market, Adam, who finds his niche in growing the vegetables that we sell in our market with the help of Katie’s husband Greg, Amy, who focuses on management, marketing and Naturally Soergel’s, and her husband Doug (Founder of Aurochs Brewing). Our extended family includes our employees, and we are blessed with up to 225 of them in the peak season! Our farm consists of 450 acres in several different locations in Allegheny and Butler Counties. We take great pride in the quality of our produce and we work long hours to bring it to you at its very best. Be sure to visit us year-round for the highest quality and variety of produce available. We would like to thank you for your continued patronage throughout the years. This is pretty cool! 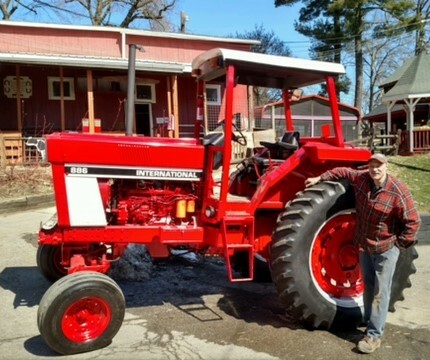 Our mechanic, Bob, worked hard to restore our original tractor. The picture below is our grandfather and patriarch of Soergels’, Warren A. Soergel. 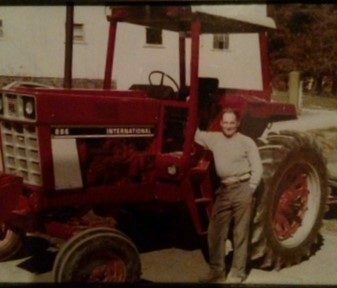 The original photo was taken in about the same place on the farm as you see Bob with the restored tractor.